You can never have enough leather jackets! They are trendy and stylish and always make your outfit look that much better. I bought this leather jacket while I was in Miami at Marciano and you won't believe how much I paid for it. This was a $400 jacket reduced to $120!!!! I couldn't believe my eyes it so I had to grab it. Luckily for me, barely anyone purchases cold weather clothing in Miami which makes it end up on the sales rack for me to find. This was such a treasure, I am so lucky to have found it at such an amazing price. 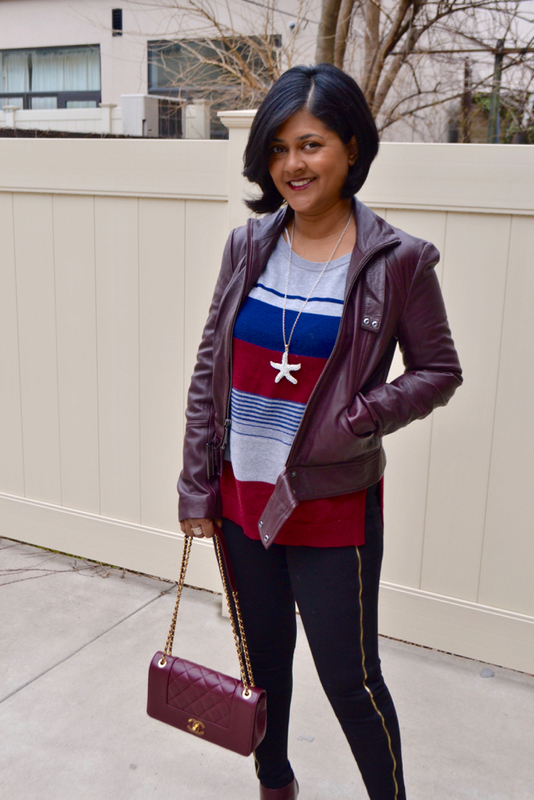 I was so happy to find this burgundy jacket that I went a little matchy matchy crazy with my outfit, but hey, why not. Fashion is all about fun and following your own rules. 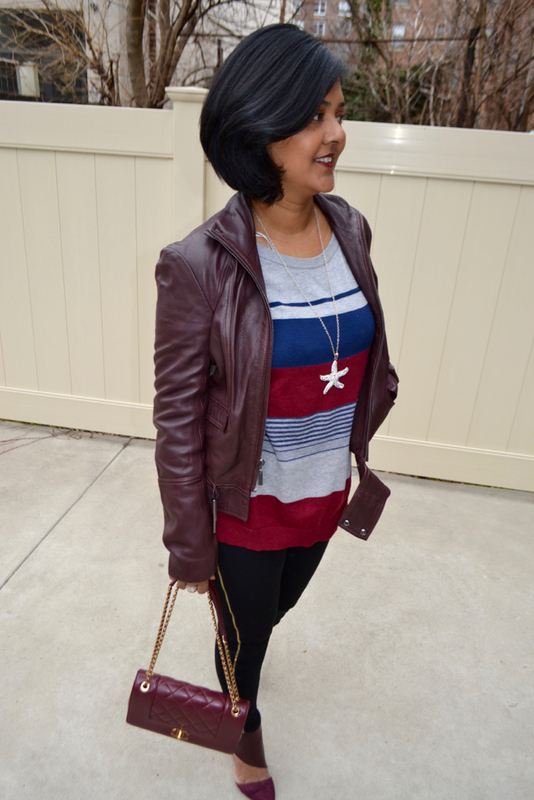 I paired it with my burgundy booties from JustFab as well as my new purse. I'm still wearing mainly leggings since I don't quite fit into all my jeans as yet after the baby but these 7 FAM zippered leggings have a jeans style to them with a button and zipper closure. 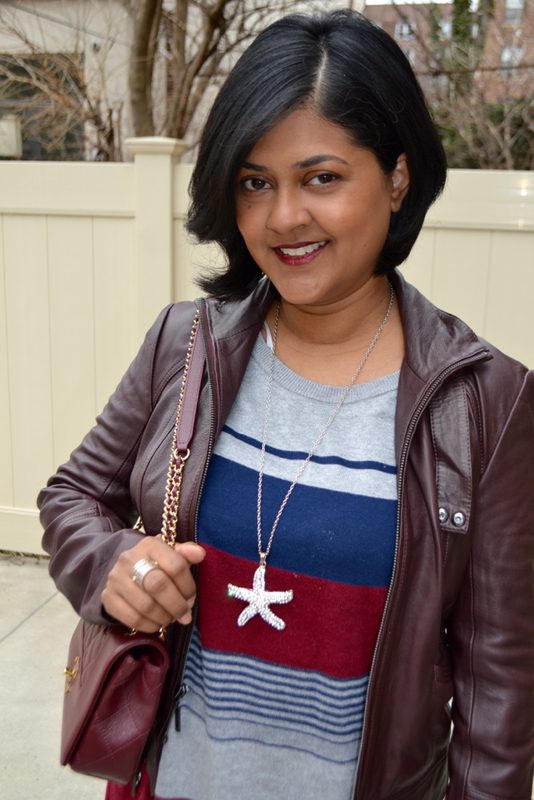 Also, I have been simplifying my jewelry and chose to add a little sparkly with my Amrita Singh starfish pendant. 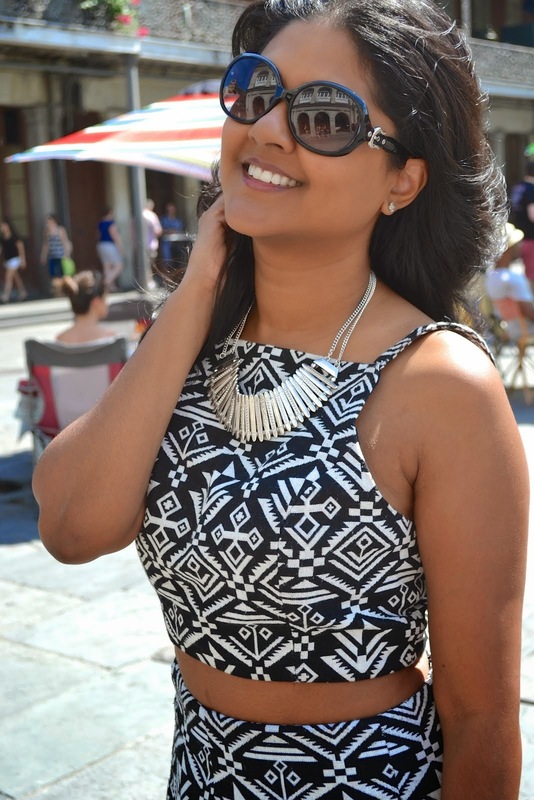 This outfit was simple and easy to put together and anyone can do the same with the items in their closet. 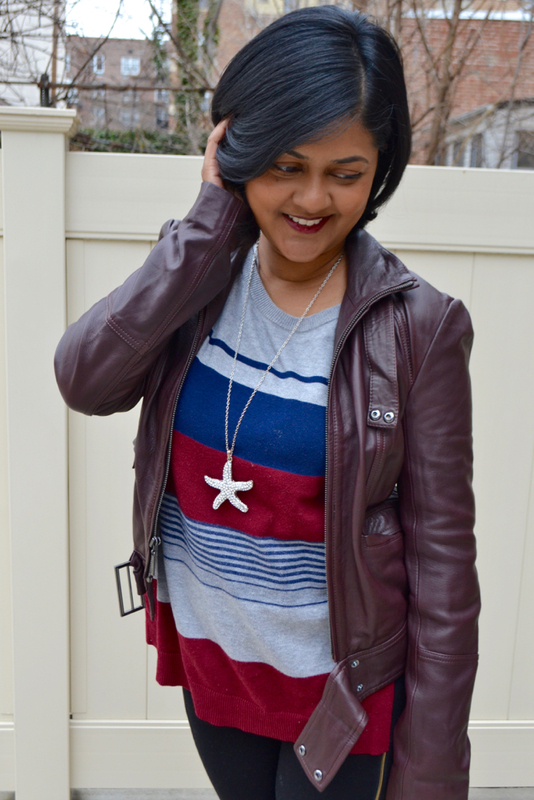 A light sweater, leggings, booties, and just through on your leather jacket and you are ready for the weekend. Beautiful jacket. Leather has such a special touch to it; this one will improve any outfit you wear it with.